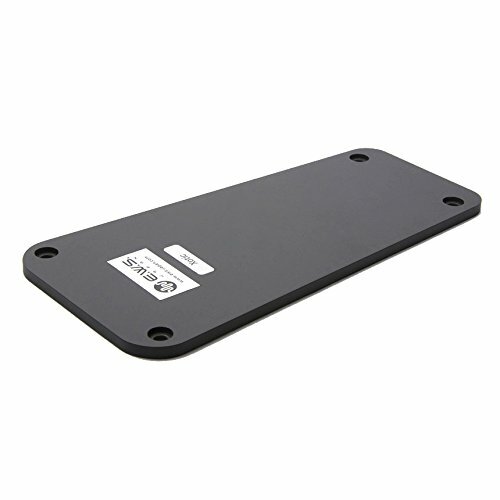 Because of the Wah Pedal's rubber feet, it was difficult to mount it securely to the pedal board.The Wah Board Special will relieve you of any stress associated with a poorly mounted wah!! There is no need to modify the Wah and the mounting method is simple. It mounts directly on top of the original bottom panel.Recessed screw holes provide a smooth surface for mounting. Now there's nothing protruding, rubber feet or screws, to get in the way of the wah adhering solidly to the pedal board. Because of the Wah Pedal's rubber feet, it was difficult to mount it securely to the pedal board.The Wah Board Special will relieve you of any stress associated with a poorly mounted wah!! There is no need to modify the Wah and the mounting method is simple. It mounts directly on top of the original bottom panel. Recessed screw holes provide a smooth surface for mounting. Now there's nothing protruding, rubber feet or screws, to get in the way of the wah adhering solidly to the pedal board. If you have any questions about this product by SWE, contact us by completing and submitting the form below. If you are looking for a specif part number, please include it with your message.